(NaturalNews) The monetary value of silver pales in comparison to gold, but silver's medicinal value cannot be beaten when it comes to fighting off infections. In an emergency situation, colloidal silver is not only more valuable than a stash of gold but also more powerful than the medical system's gold standard method of treatment -- antibiotics. Antibiotics attack both the bad and good microbes in the gut, depleting the immune system. Antibiotic's one-mode method of treatment can easily be outsmarted by bacteria strains that are evolving to survive. In fact, the frivolous use of antibiotics and careless prescription of them has caused the emergence of antibiotic-resistant bacteria -- a common problem in hospitals today. Colloidal silver, on the other hand, serves as a natural antiseptic against "several hundred pathogenic organisms," according to Alexander G. Schauss, PhD, of Johns Hopkins University. Before the invention of antibiotics, before 1938, colloidal silver was a go-to infection-fighter used by many doctors. Today, people are turning back to the silver solution to treat evolving bacteria strains. Silver nanoparticles for fungal infections? Now, medical professionals are putting silver nanoparticle solutions to the test to see how well they work against mouth infections caused by fungal infections. Yeast infections caused by Candida albicans and Candida glabrata readily thrive in the mouths of denture wearers, causing thrush and dental stomatitis -- a painful infection that affects around 70 percent of denture wearers. These hard-to-treat mouth infections harbor microorganisms that quickly form biofilms. Antibiotics do nothing to kill these fungal growths and may actually contribute to them. 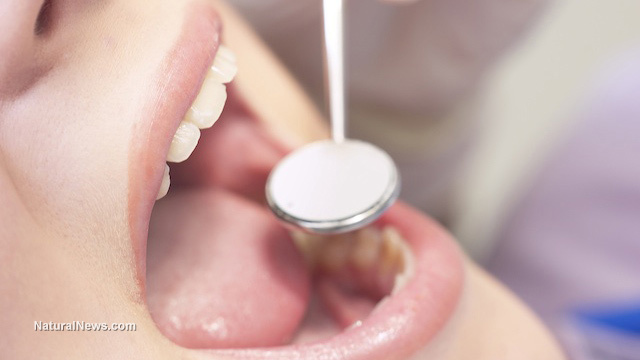 Professor Mariana Henriques and her colleagues from the University of Minho tested various sizes of silver nanoparticles to analyze their efficacy in treating these mouth infections. They also honed in on the nanoparticles' potential preventive powers. Their study was published in the Society for Applied Microbiology's journal Letters in Applied Microbiology. In the tests, Henriques and her fellow colleagues created multiple lab-controlled environments that resembled saliva. Then they placed artificial biofilms in the saliva, watching fungal infections take hold. Different sizes of silver nanoparticles were deployed into the different fungus-infected environments. They quickly found out that size did not matter, that the silver nanoparticles were effective at killing the yeasts under all circumstances! The research clearly defined the antifungal properties of silver and showed how various sizes of nanoparticles could be used in multiple applications. The silver nanoparticles could be suspended in new medicines and be used in hospitals as real preventive care. The silver could be added to mouth washes to help denture wearers prevent the growth of biofilms. Professor Henriques believes that the silver nanoparticles could even be built into dentures, creating a shield against fungal and bacterial growth in the mouth.